My 3 Month Fight Camp in Thailand: Doing BJJ and Muay Thai Back to Back - Sky Rocket Cardio. Doing BJJ and Muay Thai Back to Back - Sky Rocket Cardio. As some of you long time readers may know, I took a few months off of anything Muay Thai, Jiu-Jitsu and MMA related after my last fight. I had a few injuries, and took some damage to my shins. I didn't want to completely stop working out, as it would take months to get back into shape, so instead, I started doing CrossFit, mainly for Rehab and to keep in shape. Five months without kicking, punching or rolling later, I stepped back into the gym yesterday. The results were incredible. Something really amazing happened, as well as something negative that I didn't factor in and wish I knew about it earlier. I decided to go to the Brazilian Jiu-Jitsu class with a friend who is a purple belt. We got there a bit late and didn't warm up and got straight into rolling. I was wearing a Gi, and he was just in a rash guard and MMA shorts. Surprisingly, I was able to hang. I've rolled with him in the past and he would always end up catching me and having me tap. But this time, he exhausted after the 5 minute round and we decided on a stalemate. Immediately after, I rolled with another guy, a Judo brown belt who has been doing No-Gi BJJ for a short while. To my surprise, I had all of the cardio fuel in the world. I was able to spin around, take his back, spin back around the other direction and go for another position in rapid fire. I haven't been able to do that since I used to wrestle in high school. I realized then and there that one big factor that has held me back in my jiu-jitsu process has been my cardio, and wanting to rest instead of attacking. After the Jiu-Jitsu class, I decided to stick around for the Muay Thai class since I wasn't tired at all yet. It started the same as any other Muay Thai class with a bit of stretching, warm up, then technique and ended up with some light sparring. My technique was a bit rusty and my timing was off from having taken so much time off. But to my surprise, I was even more powerful than before. My punches and kicks were straighter and I was able to do three and four punch/kick combinations in rapid fire over and over. Having better cardio, stamina and endurance has helped me tremendously with being able to do the moves I wanted to do in my head, but have always held back on in order to save energy. I was on top of the world and wanted to come back for the night session as well to spar more. I've never been able to do Jiu-Jitsu back to back with Muay Thai without being exhausted half way through and this time, even after months of not training, I felt great....until I got home. Then it hit me, I had used so many small muscles that I normally don't train, even though I have been doing a lot of body weight exercises such as burpees, pushups and pushups, nothing is a substitute for doing Muay Thai and Jiu-Jitsu. For the next three hours, I laid in bed, barely able to move, I almost had to skip dinner my body was so sore. Luckily, this morning after a good night sleep, I'm functional, but now I remember very clearly what my first few days training at Tiger Muay Thai was like when I was just starting out. CrossFit is AMAZING for cardio and functional strength for Muay Thai, MMA and Brazilian Jiu-Jitsu, especially for rehab purposes. Eating Paleo / Bulletproof diet has given me a ton more energy, lowered my body's inflammation which allows me to recover faster the next day, and has shed off 20lbs of body fat, making me faster, lighter and more efficient. There is no substitute for training the unique muscles only used in Brazilian Jiu-Jitsu. You have to grapple and roll regularly to build up those muscles. No amount of functional or body weight exercise with target them. Muay Thai six days a week is terrible for building strength, muscle, or long term fitness. But it is amazing for developing toughness, discipline, timing, technique and skill. Yours may be different based on what your goals are. But mine is to get in the best shape of my life, for the long run, be healthy, have energy, and develop my skills for both Muay Thai and MMA. Diet - Eat 100% Paleo and follow the high fat Bulletproof Diet with sweet potatoes a few times a week. 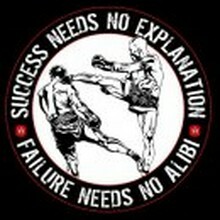 Muay Thai - 3 sessions per week for technique, timing and sparring. 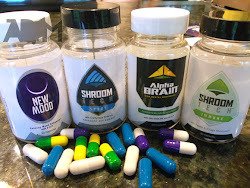 Brazilian Jiu-Jitsu or MMA - 2 -3 times a week for technique, rolling experience and to develop the small muscles only used in rolling. CrossFit - 1 - 2 times a week for strength, cardio conditioning, the social aspect, and being able to push yourself to 110% without having to pace yourself. I would also do CrossFit in the weeks after fights when my shins are bruised and you are burnt out from over training. Rest and Recovery - I would rest 2 days per week with nothing but walking. I would also sleep 8 hours a night, eat buffets 1-2 times a week to re-feed. Take a tablespoon of pink Himalayan sea salt per day to rehydrate and combat adrenal fatigue. I hope some of this info helped you guys out there planning to train intensely for a 3 month fight camp or just to get in fight shape. Keep in touch on facebook with me and let me know how your progress goes. Author of the Ultimate Guide Book to Thailand, Muay Thai and Travel on the Cheap. I think that mix of training sounds great (maybe a swim in there too as its a natural muscle stretch) - In fact longer term here in Hong Kong I want to do the cross fit as its sounds like a great strength builder. And after coming back to martial art training I'm not surprised your body got a shock (i'm surprised you took so long off) - no matter what training you do to keep fit -if it isn't related to your sport you will find yourself using muscles you haven't been using. I think the difference is you will not ache for as long this time as you have maintained a higher level of fitness!! Hey Piers, great to hear from you buddy. How is life in Hong Kong treating you? You're right about the soreness. I was exhausted the day of, but the very next day I was pretty much fine, and today I could work out again. Although I'm going to go hiking instead, just for some R&R and to change it up. Long time reader of the blog. It really helped myself and friends make the right decision for us when training in Phuket earlier this year. I was hoping to contact you via private mail on this but can't see a way of doing so. Instead I have done so via the FB page. I'd really appreciate if you could have a look at it as I think you really like what you see. Hey Darragh private facebook message is perfect for anything you want to keep confidential, I'll check it and get back to you soon. Hey if you've read this far, you might as well at least leave a comment. Even just to say what's up! If you have any questions about training in Thailand just ask it here in the comments and I'll answer so everyone can benefit from it. LIKE Muay Thai Fight Camp and get updates for Muay Thai and MMA. If you're planning a trip to Thailand to train Muay Thai & MMA - Read my book first, trust me. On sale for a limited time for only $9.99US! Normally $24! LIKE 12 Weeks in Thailand and show your love for the book. Become an Affiliate! Step by Step. Sad News: Tiger Muay Thai Chiang Mai CLOSED - SHUT DOWN. Roger Huerta and Mike "Quick" Swick are Opening a new MMA Gym here in Phuket Thailand! That's me on the right. GSP's Trainer Yod Wilek, Roger Huerta, working on striking. Click the photo to read what others thought of "12 Weeks in Thailand"
Be my friend on Facebook. Like "My Fight Camp" to be my friend on Facebook. Ask me anything, post anything and be part of my training camp, at least in spirit. Look around for what your life might be missing. Kettle bells, Heavy Ropes, Supplements, and Protein. All recommended stuff for Muay Thai and MMA training and fighters. If you're coming to Thailand to train Muay Thai or MMA you MUST READ this book. Download a free preview chapter of the new book, 12 Weeks in Thailand. 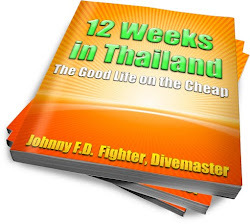 To download simply go to www.12WeeksinThailand.com and click on the "Free Chapter" link on top. Want me to send you an email whenever I post a new blog update? Just enter your email below! RSS! Copyright My Fight Camp and 12 Weeks in Thailand. . Simple theme. Powered by Blogger.